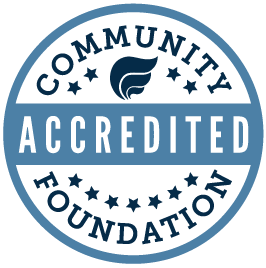 Communities can establish Community Funds at the Quad Cities Community Foundation to provide financial support for organizations in their community. To find out how you can start a Community Fund for your hometown, contact Anne Calder at (563) 326-2840. The Community Impact Fund is a permanently endowed fund supported by hundreds of generous donors with unrestricted gifts totaling over $11 million. This fund allows the Quad Cities Community Foundation flexibility to respond to the most pressing needs and promising opportunities in the community, as they arise and vary from year to year. The Community Impact Fund makes much of our grantmaking possible, from Transformation Grants to Q2030 Grants to Capacity Building Grants and more. The Quad Cities Disaster Recovery Fund provides support to organizations meeting the needs of vulnerable people and communities in Scott and Rock Island Counties, and ensures we have the resources to target our community's long-term recovery efforts after a disaster. Every dollar donated will be used for needs here in the Quad Cities area. To make a gift to one of the Community Funds below, click on the fund.